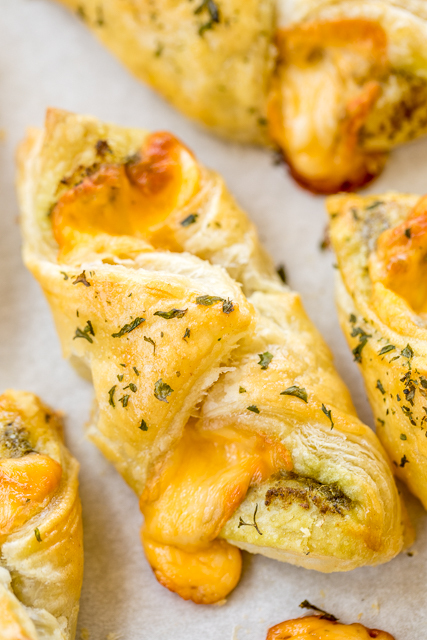 Cheesy Pesto Puffs - only 4 ingredients! Great as an appetizer or an accompaniment to your meal. Can assemble ahead of time and freeze for later. These things fly off the plate! Everyone LOVES this flavor combination!!!! 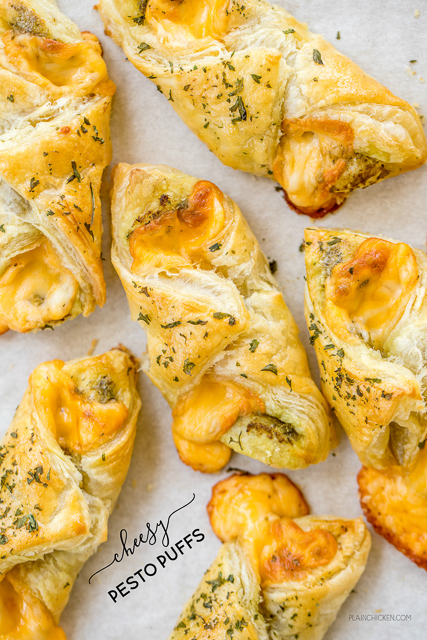 These Cheesy Pesto Puffs are SO easy to make and they taste FANTASTIC! Chicken Legs took one bite and said "Hey, these are really good. What are they?" I told him and he went back for two more! LOL! They are really good and highly addictive. This recipe was inspired by an appetizer I ate a zillion years ago. I've been in love with the flavor combination since my first bite. My version of the appetizer is super simple and tastes great! I actually made these two days in a row! There are only 4 ingredients and they are ready to eat in about 15 minutes. 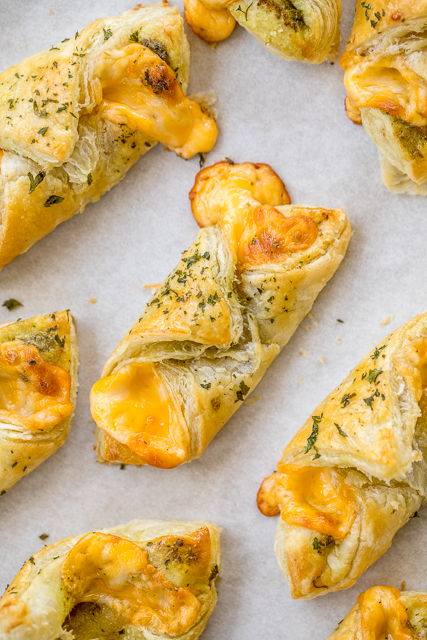 These Cheesy Pesto Puffs are great as an appetizer or as a side dish for your main meal. We served them with some grilled chicken and steaks. They would also be great with some pasta! You can assemble these ahead of time and freeze unbaked for later. Just let them thaw a bit before baking. There are two sheets of puff pastry in each package. Cut each sheet into 9 squares. Enjoy! I used basil pesto. Enjoy!